Konida, established in 2010, is a leading manufacturer which specialize in producing medical dry films and we have self-owned brand 'KENID'. We insist a management strategy of 'professionalization' and 'branding'. Our medical dry films are suitable for AGFA, Fuji medical thermal camera. With deep promotion of the products, we owned many loyal customers both in domestic and international market. Using top dry imaging technology 'direct digital imaging technology', to provide users with high density, high contrast images, make the picture more perfect. Dry technology don't need potions flush or dark room equipment, so that users can print high quality diagnosis images more easily and quickly. 'Direct digital imaging techology' take more facility to users, don't need potions or dark room equipment, for you to dispense dirty and tedious darkroom equipment debugging. Kenid medical films use kind of organic, thermal indutance emulsion membrane, then be protected by special protection layer to avoid scratch and moisture. Top production process encuse stability, high quality images with high contrast, low film fog. With non-photosensitivity,'KENID' medical films provide more conveniency, improved effciency, reduced errors. Konida Medical Dry Film (KND-A/F) has image layer and protect layer on different side of bluish polyester bases, and there are no sensitive silver halide in both layer. The film is fit for thermal printer to print digital image which is processed and stored in the computer, to attain the enhanced x-ray image quality. Compared to traditional silver halide processing, the procedure is more convenient and the speed of processing is faster. Meanwhile, it reaches to the goal of environment protection because the whole procedure is free of the Chemicals. The product can be directly printed with Fuji,Lucky or AGFA thermal printers to get ideal image. The print conditions should be tested when using in other printer types. 1. Temperature and humidity,temperature 10°C~23°C, humidity 30%~65%RH, keep away from the heat resource. 3. It should be careful to handle the film, don't crash, fold, distort and rub the film, don't touch the film with wet hand. 'KENID' crew thank you for your support, trust and help. 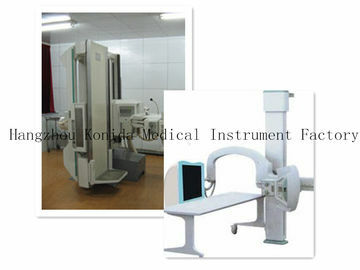 We will, as always, adhere to the 'innovation as power, quality as life' development path, focus on medical image field, provide better products, superior service! Welcome to contact us for any question!